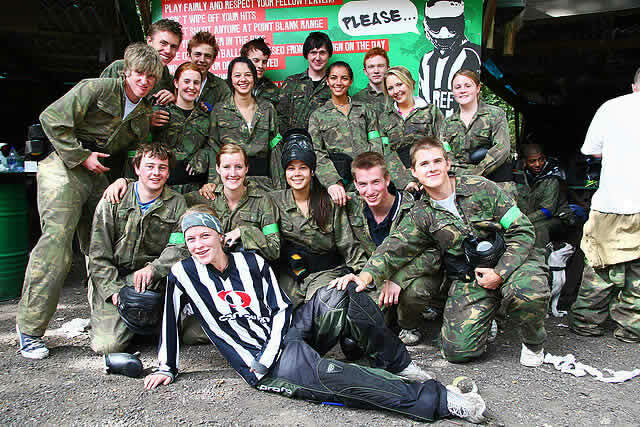 Campaign is one of the UK’s largest Paintball and Lazer venues and we are always looking for exciting new staff. A great job for fun loving people. Our hardworking marshals are the people that make all the difference to giving our customers a great day out. Put simply, our marshals are the heart and soul of our business . Most days you will be looking after really friendly people in the outdoors on glorious sunny days, however, sometimes groups can be harder work and it also occasionally rains! Many of our crew have been with us for years, unable to give up the buzz of being part of the Campaign team. We all get on really well, work hard, play hard (and have some great parties). If you think you have what it takes, enjoy dealing with people and think you can contribute to giving our customers the very best day out, get in touch. You will need to be 16 or over. In return, we work in a relaxed, friendly and professional environment, but always remember that our clients come first.